Goliath vs. Snowspeeder...particularly when they have those tow cables. Seriously, though, Goliath vs. Valkyrie, given what happened to Cochrane's Goliaths. "We have made of New Avalon a towering funeral pyre and wiped the Davion scourge from the universe. Tikonov, Chesterton and Andurien are ours once more, and the cheers of the Capellan people nearly drown out the gnashing of our foes' teeth as they throw down their weapons in despair. 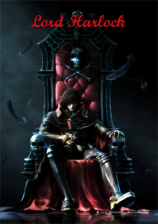 Now I am made First Lord of the Star League, and all shall bow down to me and pay homa...oooooo! Shiny thing!" - Maximillian Liao, "My Triumph", audio dictation, 3030. Unpublished. Battleaxe vs. Warhammer. That one's explicitly canonical, if pretty one sided. 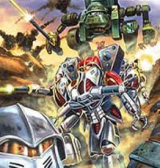 Along those lines, you also have the Dragon vs. the Shadowhawk and Quickdraw vs. Rifleman vs. JagerMech. You know I am surprised that no one has mentioned the other hammer rivalry: the Hammer vs. the Valkyrie. 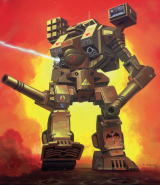 The Hammer Light-mech was built by Free World Defense Industries on Gibson to compete against the Corean Enterprises' Valkyrie. And this one has a clear winner since the Hammer's production lines along with most of Gibson got glassed by the Regulans, and to my knowledge, no one has resurrected the Hammer. This isn't a classis rivalry but as other people are sharing their own personal rivalries I'll share mine. My friend Clint used to be a big awesome fan. Back in the day we played ... The only way you can have a mech is if you salvaged it or bought it with c-bills or traded for it. Well I got my hands on a Penetrator. His awesome was full of clan tech that we had salvaged...clan pulse lasers, targeting comp etc. The thing was a nasty beast. Well I kitted out my Penetrator with a few clan tech things I had salvaged. Just erppc's and some extra HS's. Turned out that was just what I needed. I beat him 12 straight games headcapping him within the first 4 rounds. Clan Grinch goat- gamma goat. I don't reall see that as a rivalry, though. The Hammer was never widely exported outside of the League, and the Valkyrie comprised a hefty percentage of the Davion light 'Mech forces for centuries. Sure, Corean built it, but it was Corean on New Avalon, not Corean on Stewart, so as far as I'm aware, the two were never really placed in opposition to each other. Loyal Knight of House Davion. Throw in a crappy love story, tons of legal proceedures, and you have a great battle. LOL!!! And in my experience the Jagermech came out top more often. 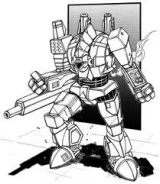 The Jagermech vs Rifleman always made sense to me, the Quickdraw vs Rifleman fluff not so much. Fate sits high in the bidder's chair. I can remember taking on my mates TBolt waaay back in the day and being utterly torn to pieces. During the Luthien campaign I am playing, we have seen a lot of Summoner vs Archer battles. 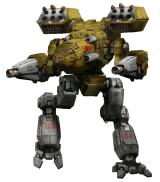 The Draconis side has an elite Archer MechWarrior who sits back in cover and rains fire. 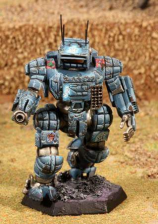 I have a veteran Summoner MechWarrior who is tasked with jumping through all that terrain to get to him, stick within minimum range and give him hell. 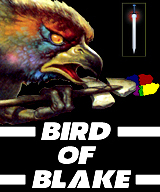 "If you see a Falcon not in a Summoner, Hellbringer or Kit Fox, double your caution." You mean Wight? Of course it does, it's a heavily upgraded Panther. I'm like a hunter of peace. One who chases the elusive mayfly of love... or something like that. Even though it wastes too much tonnage on that compact engine. Never did 'hopper versus Guillotine. Did do the'hopper versus a battlemaster. Didn't turn out well for the bmaster. Archer vs Warhammer is my favorite. 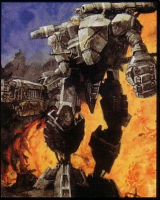 That was one my first battle ever in battletech. You're falling through the air in a Grenadier. Style went out the window long before you did. I gotta agree with Marauder vs Warhammer . That's one of the all time classic fights . Live by the sword ... die by dysentery. UrbanMech running vs. pavement hex. Grasshopper VS guillotine always comes out in a wash for me. can go either way. I do say the Srm 6 on the guillotine , does act as a good equalizer. Now if its a 5n Hopper with the PPC, still equals out. Falconer VS Summoner. its a jumping slug match. Thunderbolt vs Crusader is the one I always think of. It was one of the introductory fights in the 3rd edition book. Who ever was piloting the battle pimp was a nub.